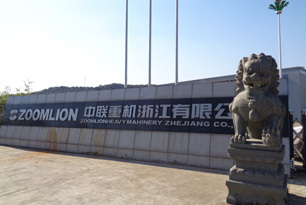 Zhejiang Agri Machinery Co.,Ltd. located in Linhai city of Zhejiang province, a famous historical and cultural town with beautiful scenery. As a manufacturer incorporated in 2007, we only focus on agricultural machinery. Speciality creates excellence which brings us a rapid growth in the past 4 years---an annual sale over hundred million and it's still growing. Our corporation passed ISO9001:2008 Verification in 2010 and our "Agri" brand combine harvesters are labelled with "CAM" after the Verification from Agriculture Ministry of PRC. Meanwhile our company are also honored with titles of "Sci-Tech Typed SME of Zhejiang Prvince", "Sci-Tech Typed SME of Taizhou City". "Agri" brand axial-flow combine harvester series for paddy rice,wheat and rapeseed are our main products. All intellectual property rights are preserved ,especially the longitudinally structural combine havester is the earliest product of this style in China, we filled the industry empty. We are the first company who passed the Appraisal from Agricultural Ministry of PRC and joinned National Promotion Catalogue. We possess 3 patents for main parts on this style of machine and 4models of this type of combine harvester have been praised as'' New Indutrial Product of Zhejiang Provice'' and "Famous Brand". Delivery of longitudinal Axial-Flow combine harvester will lead grain-harvesting machine to a new level and itself will become a master stream to replace old style. 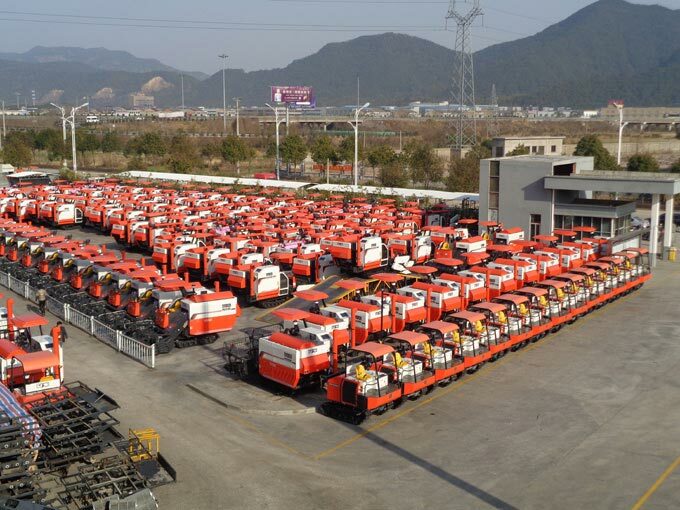 Reliable machines enables us to have good sale, not only in China, but also to Southeast Asia, Mideast,African and South America etc.